To commemorate the company’s 150th anniversary, three new limited-edition Portofino models were unveiled by the Swiss watch manufacturer at the Salon International de la Haute Horlogerie earlier this year. And while the stunning design of the Portofino Hand-Wound Moon Phase and the Portofino Chronograph will instantly draw you in, it’s the modesty of the Portofino Automatic Edition “150 Years” that you are bound to love. Crafted in stainless steel with a blue lacquered dial and rhodium-plated hands, this timepiece is a fantastic example of the Portofino collection’s finesse. Staying true to the maison’s essence, the 1815 Chronograph is for precisionists. 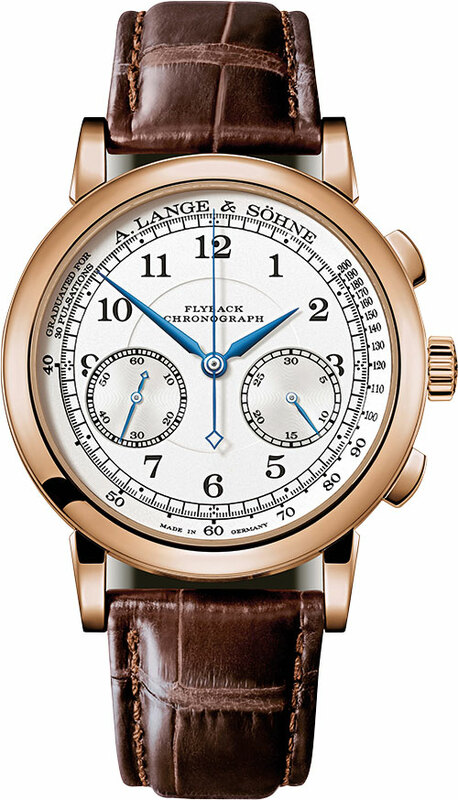 Arabic numerals and the railway-track minute scale — both hallmarks of the 1815 watch family — serve as a sophisticated periphery, enclosing within it a subsidiary dial for the minute counter at 4 o’clock and another subsidiary seconds dial at 8 o’clock. A sleek chronograph sweep seconds hand, activated with a pusher at 2 o’clock, indicates the time with a resolution of one-fifth of a second — it’s like poetry in motion. The Navitimer 1 Automatic 38 takes its cue from the 1950’s Reference 66 — the house’s first three-handed Navitimer — but has a distinct vibe. 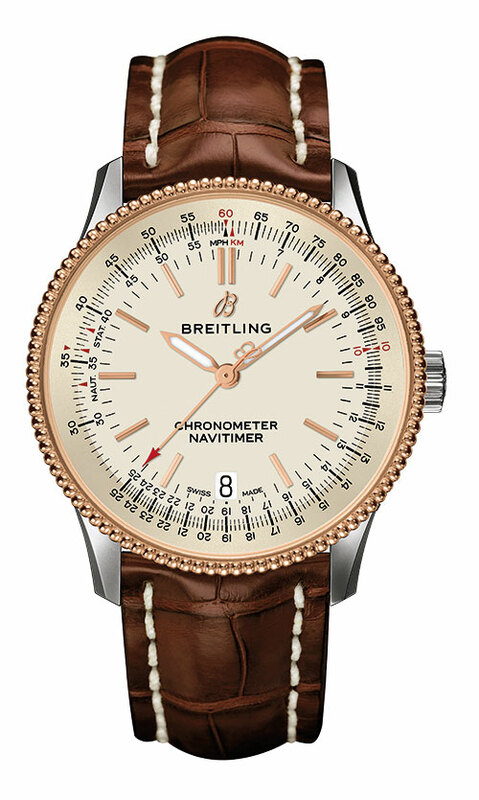 Representing a significant industry move to smaller dials, the 38 mm casing of this timepiece encloses a Breitling Caliber 17 movement which sits tastefully within the newly designed beaded and ratcheted bidirectional bezel. Following in the brand’s long tradition of crafting ravishing timepieces for women, is this stunner from the new Trésor collection. 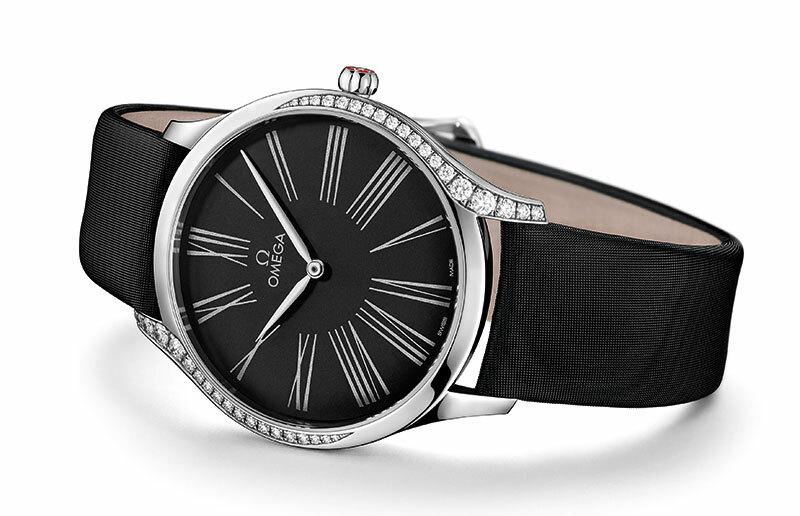 Diamonds dot the curves of the dial, the face of which flaunts slim hands and transferred or embossed Roman numerals. Alongside a diamond, the crown is adorned by a red liquid ceramic flower. Fitted with a calibre 4061, these tickers are completed by a strap in fabric or leather and a special mirrored caseback flaunting a ‘Her Time’ design. Complete with a double stepped bezel, thin profile and minimalist hands and indexes, the Villeret Grande Date Jour Rétrograde is a thing of beauty. 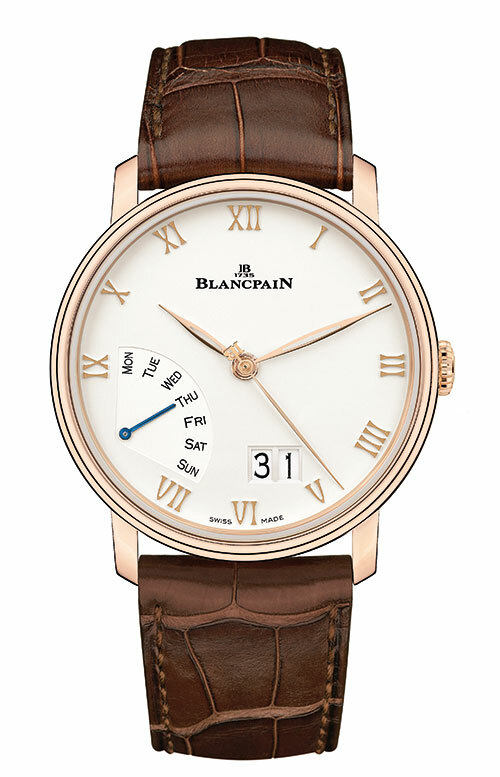 It showcases the day of the week on an arc placed between 7 and 9 o’clock, the date between 5 and 6 o’clock and flaunts an elongated central seconds hand bearing the brand’s initials on its counterweight. And there’s reason for you to turn it over — through the clear caseback, you can see the exquisite Côtes de Genève finishing and honeycomb guilloché adorning the gold rotor. Simple and strong, the Complete Calendar is representative of the functions and smart aesthetic that define the exceptional Clifton collection. 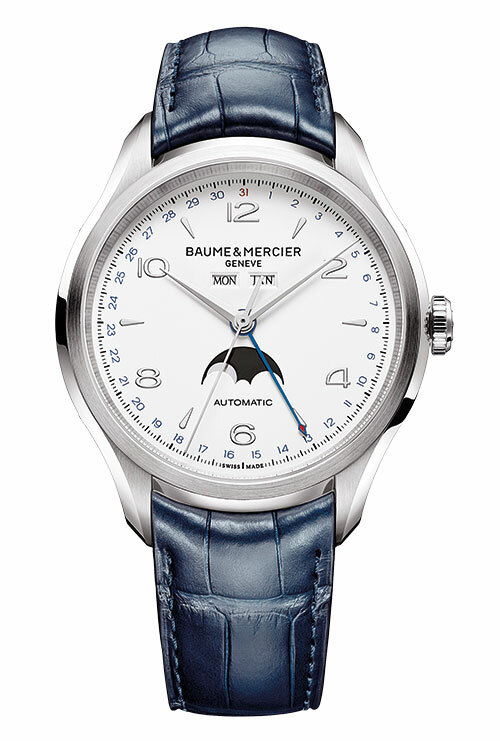 Armed with a self-winding movement within a 43 mm polished and satin-finished steel case, the elegance of the white dial is enhanced by an easy-to-read calendar, a blue hand indicating the date, two apertures to display the day and month, and an eye-catching moon phase. Minimalism is often the epitome of grace, and there is no better way to describe this timekeeper. Marking the company’s 225th anniversary, the 1957 brings to your wrist a design greatly inspired by the artistic codes of their Gyromatic watches from the ’60s. 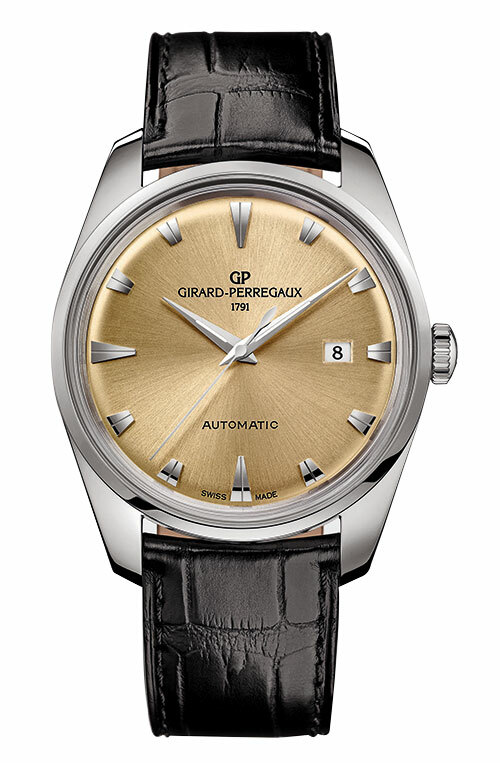 The champagne-coloured retro dial is set with dauphine hands, while the stainless steel case is adorned with polished upper and brushed sides, enclosing the vintage dial under a sapphire glass — which is raised to resemble the plexiglasses that were used in the watch designs of the past. Its slender profile makes it the perfect dress watch, one that can easily transition from being a day to an evening accessory. The Luminor Due 3 Days Automatic Oro Rosso — 38 mm, 11.20 mm thick, brings with it an ivory dial enclosed within a casing crafted entirely of 5NPt red gold — an 18-carat gold alloy significant for its high percentages of copper and small amount of platinum. Completed by a strap fashioned out of light blue alligator skin, this timepiece brings to mind the historic Luminor design perfected by the Italian house. Arresting shades of blue take centre stage on this Maestro Blues wristwatch as its dark-hued dial enhanced with a delicate wave-like decoration steals the show. 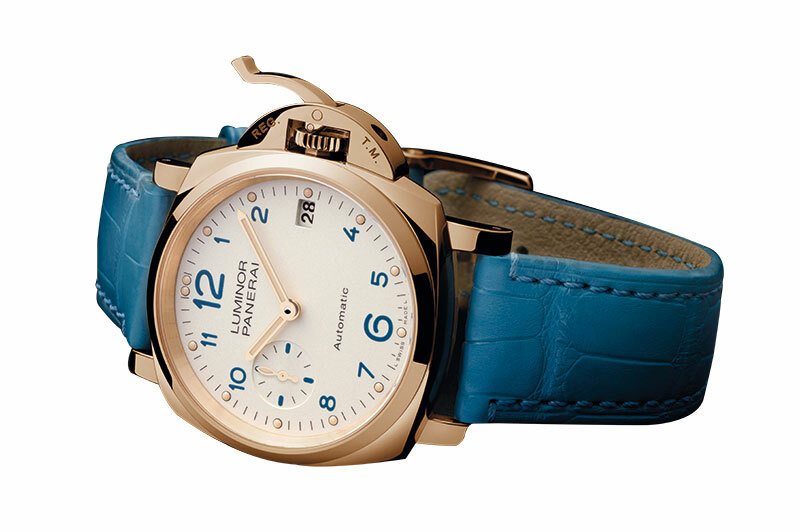 Captivating, yet clean and simple, the timepiece’s only break in palette comes from the rose-tone PVD case and screwed-down crown fluted with the iconic RW monogram, which perfectly complement the dial and blue genuine leather strap punctuated with white stitching. 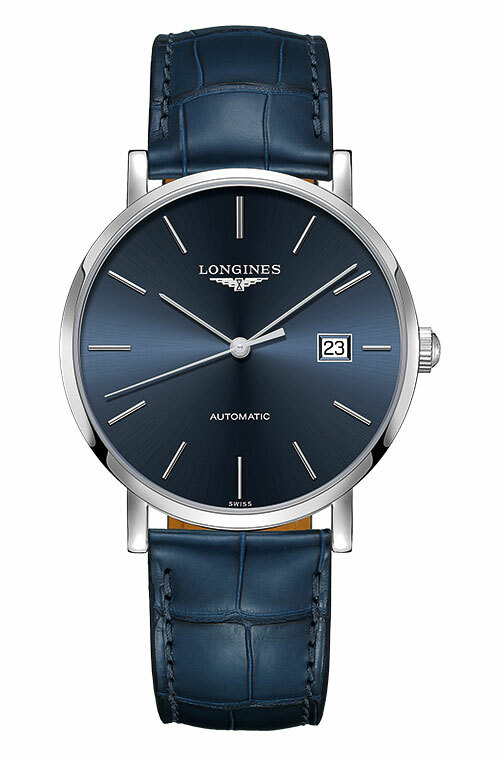 Sitting stylishly on a blue alligator strap or a stainless steel bracelet are these fine timepieces from the Longines Elegant Collection. Available in five distinct sizes — 25, 29, 34.5, 37 and 39 mm — these watches with sunray blue dials and automatic movements are embodiments of the expert craftsmanship. 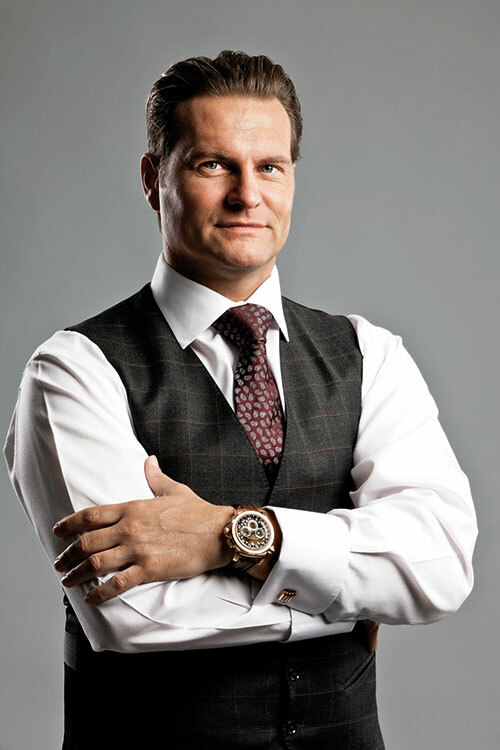 The only other additional embellishment is the presence of hour markers, as indexes or diamonds, and baton-shaped rhodium plated hands that delicately tell the time. 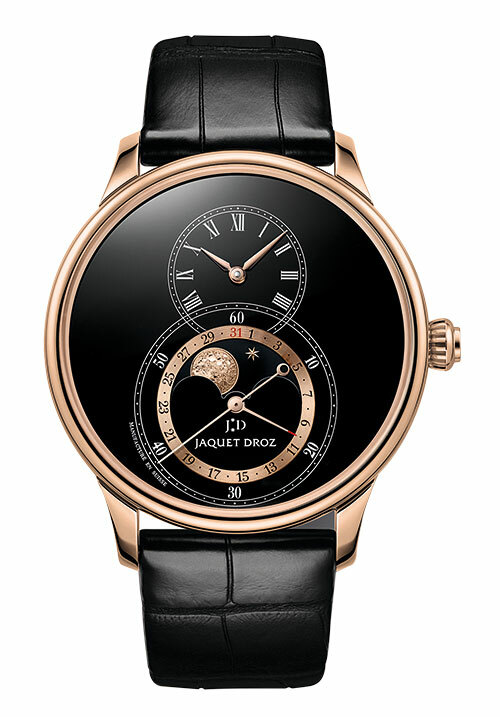 Add a touch of celestial wonder to your wardrobe with the Grande Seconde Moon Black Enamel. 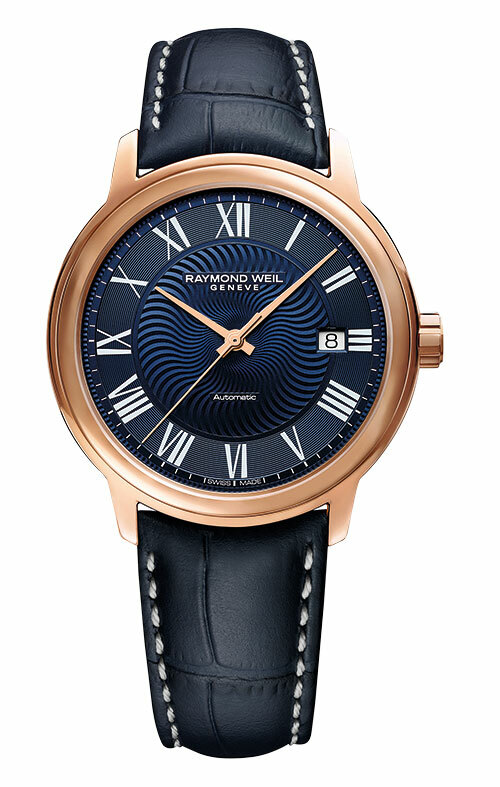 The double-level dial in black Grand Feu enamel is home to a self-winding mechanical movement. And even more brilliant than the 22-carat gold moon crowning a black onyx moon disk, is the unique mechanism which requires the moon phase to be corrected only once every 122 years! 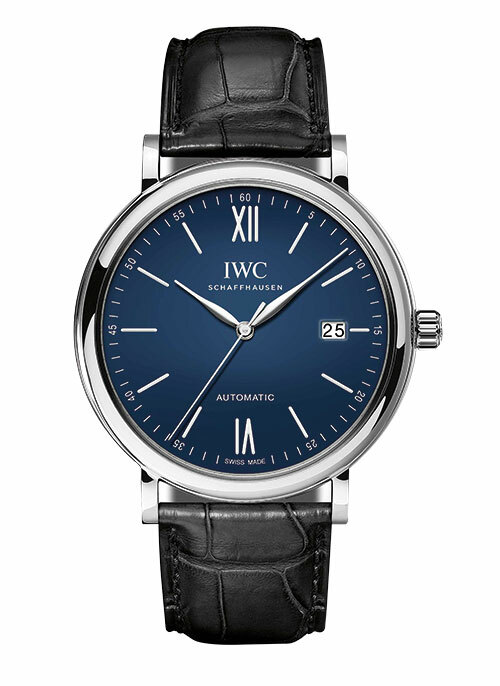 With a 68 hour power reserve, this 43 mm watch is something many will be pining for.